This dollhouse miniature Halloween Shopping Bag is 1:12 scale and would make a great addition to your dollhouse miniature collection. This bag is black in color. 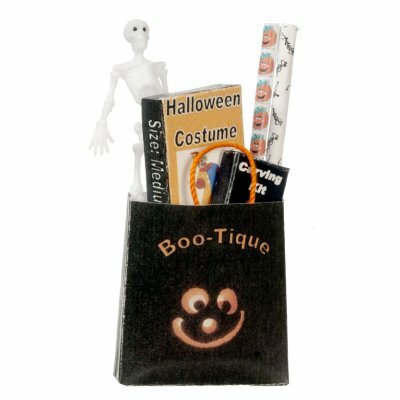 It is filled with Halloween goodies including a skeleton, witch costume box, wrapping paper and a carving kit. 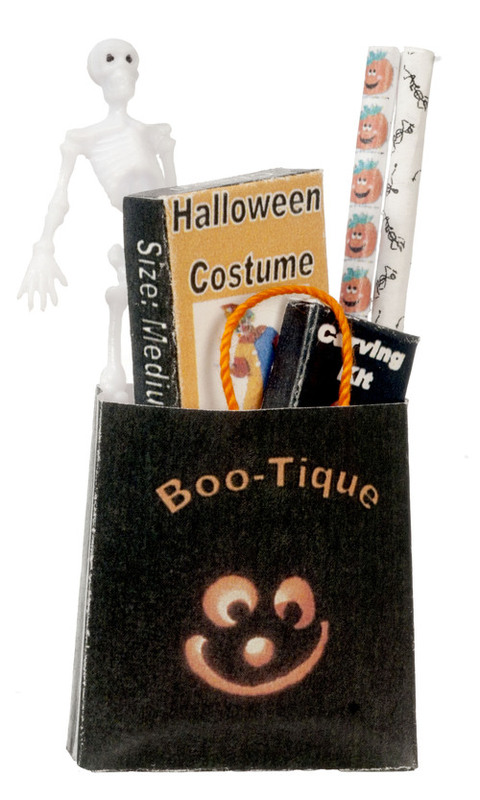 This Halloween Shopping Bag - Filled is supplied by Aztec Miniatures, which generally ships within 8 business day(s) of you placing your order .